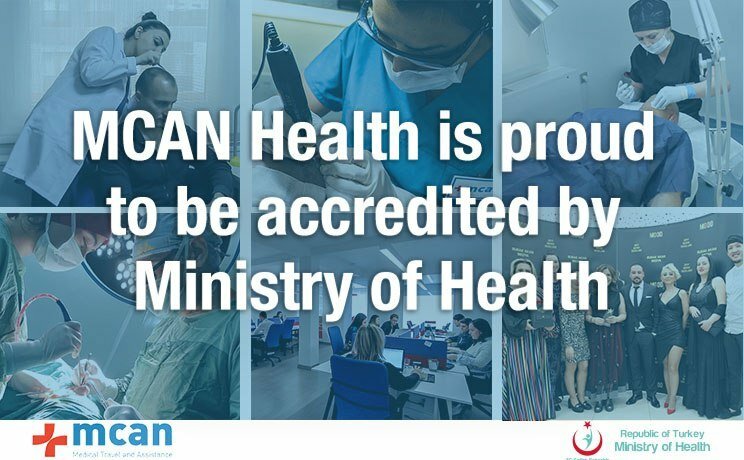 We are proud to announce that on August 6th, 2018, MCAN Health is recognized and accredited by the Turkish Ministry of Health, shortly; the MoH. MCAN Health is among the first medical travel companies that acquire this status and is now listed on the website of MoH officially as an accredited Medical Travel Company. In the official gazette of July 2017, the MoH published the Regulation of Medical Tourism that all Turkish medical travel companies and healthcare providers must comply with. The aim of the regulation is to determine the minimum healthcare standards for international patients treated in Turkey and to regulate the procedures and principles for authorizing health care providers and medical intermediary companies and the supervision of their activities. 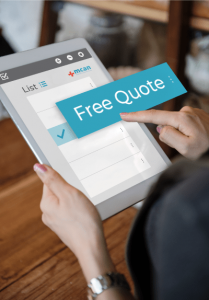 At the beginning of 2018, MCAN Health started working on the requirements of the regulation. And we are proud to say that we have completed the entire procedure, that we have been audited by the MoH and that we have received our accreditation. What is the added value of an accreditation for international patients? 1) The accredited companies are strictly regulated and audited by the MoH, so international patients can trust the medical travel company is safe. 2) The international patient’s rights, safety, and privacy are guaranteed. 3) The international patient with complaints about the services can apply to the MoH. 4) The patients will be provided with a travel insurance during their stay in Turkey for their treatment. 5) The patients will have a 24/7 call center service from their medical travel company. 6) At all times the patient will have full access to the information related to their hospital, their doctors, the visa procedure, their medical travel package and all the other matters concerning their stay. Going abroad for any treatment is not an easy decision. With the requirements of the regulation and accreditation, if these requirements are met, international patients will feel safer than before to have a treatment in Turkey. Turkey is among the top 10 medical travel destinations in the world. Turkey is preferred mostly for hair transplantation and plastic surgery but also for dentistry, IVF, obesity treatment, orthopedy, cardiology, oncology and brain and nerve surgery. Turkey is particularly attractive for international patients because of low prices for medical treatments, offering 60% lower prices than Europe, USA, and Canada, for their highly qualified and experienced doctors and for the internationally accredited hospitals and high technology. Also, the high standard of medical services attracts many patients from Azerbaijan, Turkic Republics such as Kyrgyzstan, Turkmenistan, Uzbekistan, and African countries such as Tunisia, Algeria, Libya, for oncology, cardiology, brain and nerve surgery, orthopedy. MCAN Health, as an award-winning company, strictly applies to the law and regulations set by the government. We see the MoH accreditation as a recognition for our continuous effort to improve our service and to maintain our leading position in plastic surgery and hair transplantation in Turkey for European patients. Thanks for your kind words which make us proud. We are glad that our quality of service is also proved by government regulations. Keep it up MCAN. Your faithful Amro. Congratulations MCAN Health. I have already decided to go with you for my hair translant and seems like I made the right decision. Keep up the good work! Thanks for your kind words. We are doing our best to be the best medical travel company and a pioneer in our own field!